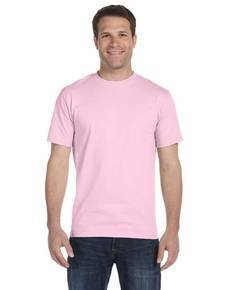 Weighing in at 6oz and offered in 62 unique colors, our Gildan G200 t-shirts are made of 100% preshrunk cotton and are nearly identical to the Gildan G500. This top selling tee features double-needle stitching throughout, a seamless collar, and is taped shoulder to shoulder for added durability and comfort. A workhorse in the industry that will withstand everyday wear and tear, the G200 continues to be the go-to choice for wholesale unisex t-shirts. Say goodbye to low quality shirts and add our G200 to your lineup of go-to, reliable tees. Shop now!